Bristol Cockroaches are large crawling insects ranging in size of 15-30mm. They have characteristically long antennae’s and two pairs of wings. German & Oriental Cockroaches are the most commonly found species in Bristol & through out the UK - German Cockroaches originate from Asia, they are brown and look like a shield. They can climb up polished walls and hang upside down, in warmer climates they can fly. They carry egg cases full of baby nymphs waiting to hatch out anything from 30-50 at a time. Oriental Cockroaches are a larger species but not as agile climbers on vertical surfaces. They need longer time to breed and prefer cooler places like outside drains. Both species are nocturnal so you are more likely to see large numbers of cockroaches at night. They spend the day hiding in the cracks and crevices, then moving around at night scavenging for food and water. Their egg cases and droppings can still be very obvious without the insects present, their droppings can appear like coverings of black pepper. Cockroaches in Bristol are notorious for spreading food poisoning, dysentery and gastro-enteritis. Anything that Cockroaches can climb over in the kitchen will become contaminated so it’s important food preparation areas and cooking utensils are sterilized before preparing food. 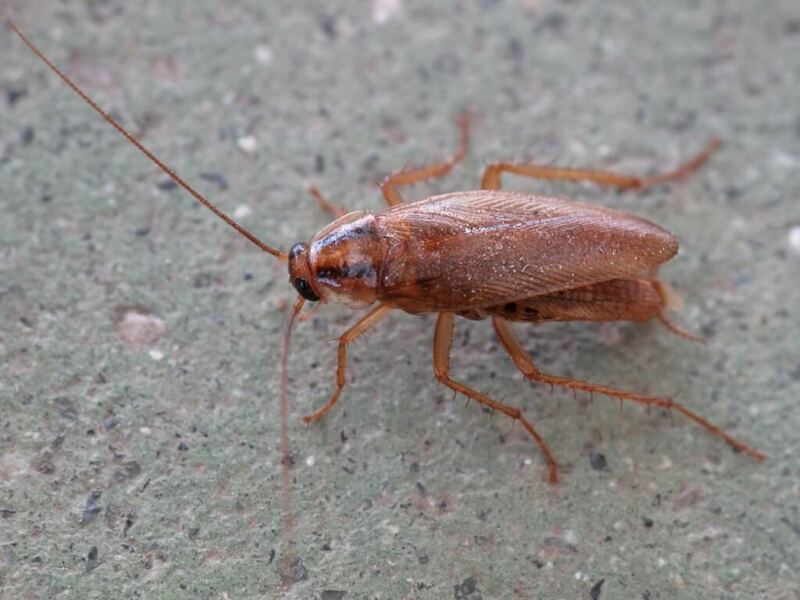 Bristol Cockroaches have been frequently found in blocks of flats or high risers, they can move between apartments in air ducting or pipe work. They will enter a building on incoming laundry, packaging, furniture or raw materials. They will eat nearly anything from fingernail clippings to grease on the inside of television sets. You can prevent cockroaches by removing any overflowing rubbish or waste, making sure all vertical and horizontal surfaces are clear from crumbs, debris and hiding places. Seal and proof cracks and crevices where you suspect cockroaches might be entering. Install sticky boards or monitoring traps embedded with a cockroach pheromone to detect the extent of a Bristol Cockroach infestation. Treat infested areas with a carefully selected insecticide to eliminate the whole infestation.